Best Western - quality standard. Only 10 minutes drive from the airport - great for late arrivals with reception / bar open 'til midnight. Time for a nightcap and coffee available in room. Friendly staff. Breakfast. Host. Location. Friendly staff (Anna and Dimitria). We liked the beautiful setting, the apartments were exceptionally clean and the host (Anna) was very accommodating. The staff very freindly, loved our room the lovely surroundings with the gardens and swimming pool. Everything! In spite of being on a busy road to the airport, once inside the hotel area it was quiet en cosy. There was an excellent restaurant across the road, Athivoli run by Stella, which served seriously good food. There is a bus stop to the airport 30metres down the road, so we didn't need to rent a car for our one night stay. Good location, close to mainroad, aquarium, dinopark. Nice rooms like private bungalows. The hotel territory is very beautiful all in flowers. Good breakfast, good parking, swimming pool, Ana was very helpful and gave us many practical advises concerning Crete. I loved the nice 1 floor high buildings, partially shadowed by the beautiful vegetation, and our terrace (where we had the morning coffee, or the evening talks) which was covered by amazing colorful flowers. The swimming pool is very nice too, and the personnel is helpful and friendly. Lock in a great price for Your Memories Hotel Apartments – rated 8.7 by recent guests! Your Memories Hotel Apartments This rating is a reflection of how the property compares to the industry standard when it comes to price, facilities and services available. It's based on a self-evaluation by the property. Use this rating to help choose your stay! One of our top picks in Gouves.Set in an extended 7,000 sq. 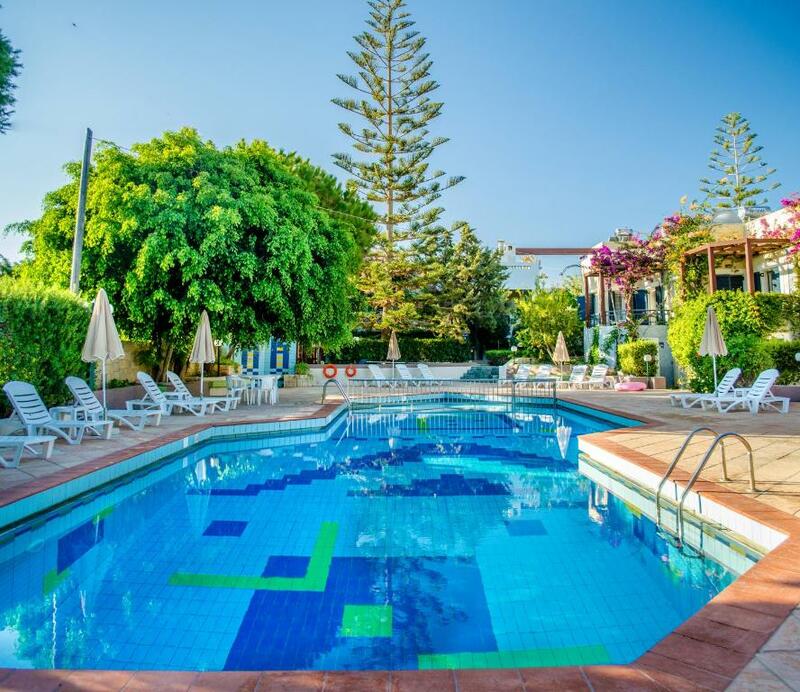 yard area, surrounded by olive trees and green gardens, Best Western Your Memories Hotel Apartments offers a splendid swimming pool, Cretan cuisine and a friendly setting. The hotel fuzes contemporary and traditional architectural styles and allocates spacious studios and apartments, all with Wi-Fi, satellite TV, autonomous air conditioning and private bathroom with hairdryer and amenities. Guests can head start their day with a hearty breakfast including homemade cakes and a variety of jams. Later in the day, traditional Cretan specialties, raki and selected local wines, are served indoors or outdoors by the swimming pool. Drinks are served at the hotel’s bar, open 10 in the morning. Offering a TV room, an internet corner with Wi-Fi access, fax and copy machine, the Best Western Your Memories Hotel can cater for leisure as well as business needs. The hotel is 9.3 mi east of the Nikos Kazantzakis Heraklion Airport and 11 mi from the Heraklion port. The Minoan Palace of Knossos is 12 mi away. When would you like to stay at Your Memories Hotel Apartments? This spacious, air-conditioned studio comes with a balcony, kitchenette with fridge and kettle, and a private bathroom with shower cabin and a hairdryer. Free WiFi access and a satellite TV are available. This spacious, air-conditioned apartment features a balcony, a separate bedroom and a living room with kitchen area. The bathroom comes with shower cabin and a hairdryer. Free WiFi access and a satellite TV are available. 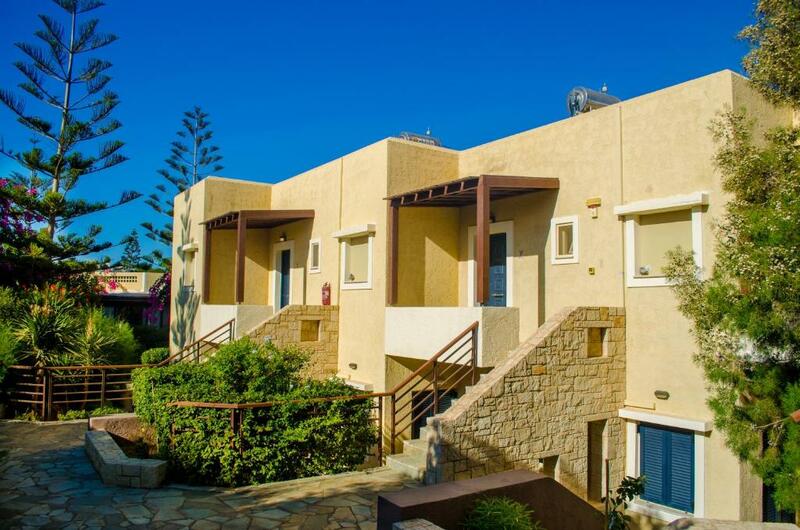 Spacious and air-conditioned suite with 2 separate bedrooms, a separate living room, kitchen and 2 balconies. Free WiFi access and a satellite TV are available. This spacious, air-conditioned apartment is located on the ground floor and comes with separate bedroom and a patio overlooking the garden. It features living area with kitchenette, and a private bathroom with shower cabin and hairdryer. Free WiFi access and a satellite TV are available. House Rules Your Memories Hotel Apartments takes special requests – add in the next step! Your Memories Hotel Apartments accepts these cards and reserves the right to temporarily hold an amount prior to arrival. Please inform Your Memories Hotel Apartments of your expected arrival time in advance. You can use the Special Requests box when booking, or contact the property directly using the contact details in your confirmation. There is nothing interesting in walking distance. But if you have car there is no problem. 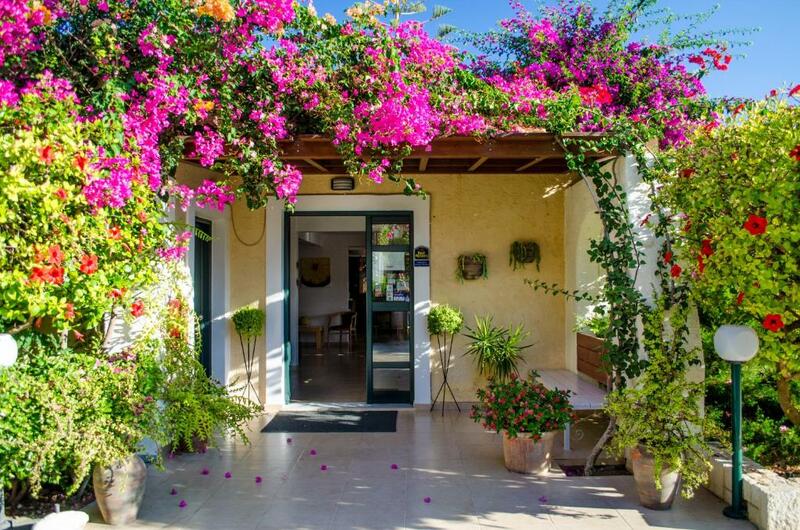 Nice place, flowers and greens all around. Frendly stuff. The condition of the pool itself could be better. a bit too much chlorine for my taste. But no major complaints. The place was unexpected great! Very friendly staff. Very nice wines. Rooms are quiet and clean. all in good condition. Wlan could be faster (if you are there on biz). The facility is tired and uncomfortable, it is not clean, the AC is not working well and the water pressure is ridiculously low. We asked two espressos during the breakfast (included) and we had to pay...inadmissible!!! Poor internet in the room, long distance to the beach. Great host Ana. Lovely place.